Professional products that withstand the toughest conditions. Quality requirements that meet the market’s most demanding tests. Scana Booforge is one of the world’s leading manufacturers of large arms for forklift trucks. The company, which is based in Karlskoga, Sweden, and has a proud history dating back over 350 years, sets itself high internal quality standards. The combination of high-quality materials and comprehensive expertise – together with precision production processes in accordance with ISO 2330 and ISO 3834 – means that every fork arm that leaves our factory meets world-class performance standards. Therefore we are confident that our products will fulfil your highest expectations. Visual check for any surface cracks, particularly in the inner radius. Visual check of fork arm mounts (greasing of rollers, etc.). Visual check of the shape of the fork blades. 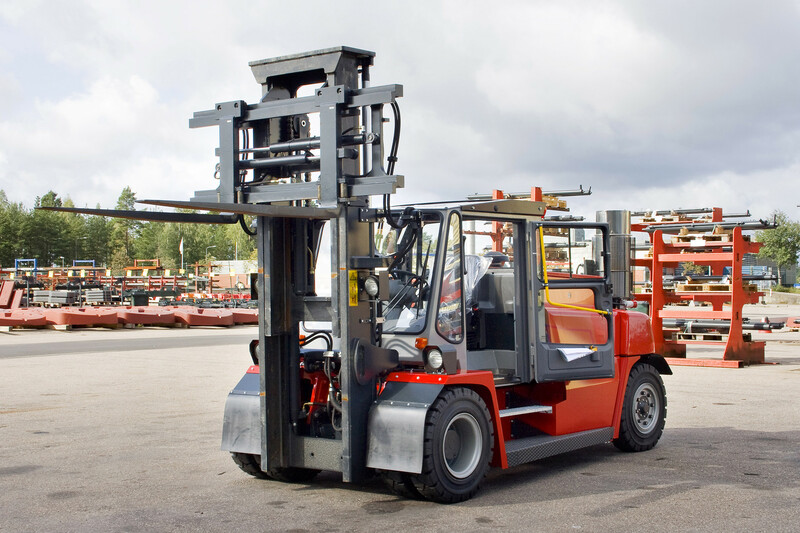 The goods handled by forklift trucks on a daily basis are worth a huge amount of money, and the trucks usually operate in areas where people are working. In other words, fork arms that are in use are regarded as safety items and should be treated accordingly. Lifting forks are lifting devices. 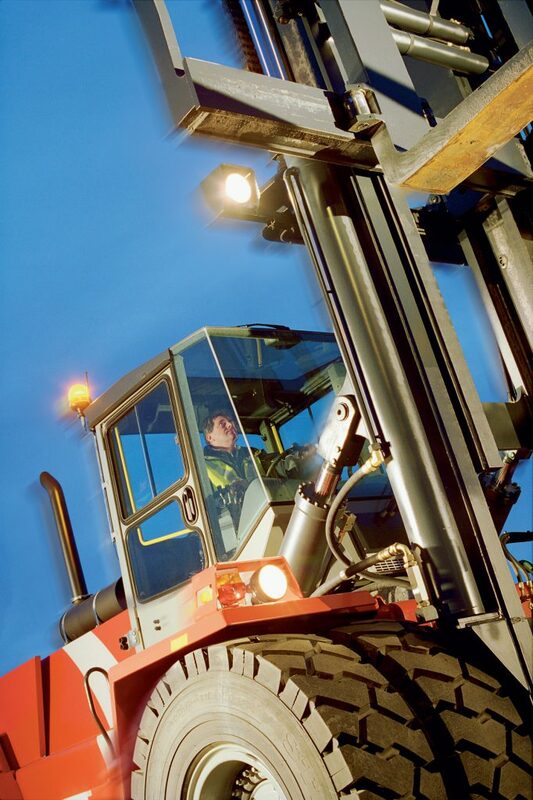 Without them, a forklift truck would not be able to fulfil its purpose of lifting goods. Regular maintenance of the fork arms is important, because the quality and therefore also the productivity of the forklift truck depend on it. It is also important to use the fork arms correctly, within their specified performance limits. Below you will find more detailed recommendations on how to use and maintain our fork arms. Please do not hesitate to contact Scana Booforge if you require more information. Always lift loads with both fork arms, never with just one (not even parts of the load). 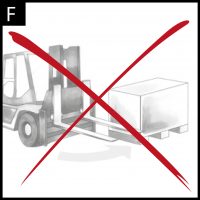 Avoid situations where a load could fall onto the fork arms. 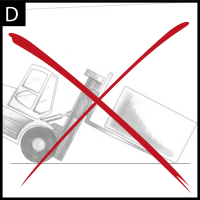 Make sure that the fork arms are locked in position in accordance with the design of the forklift truck. Otherwise the forks may slide off the truck and/or break, or the mountings may be damaged. Take the specified capacity and centre of gravity into consideration. 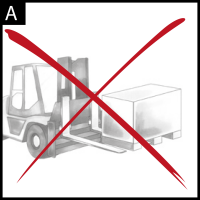 It is inadvisable and dangerous to lift loads which may cause the forklift truck to tip. 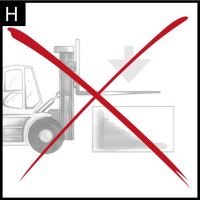 Do not lift loads with the tips of the fork arms. There is a risk that the tips will bend. Avoid lateral forces which could result in abnormal stresses on the fork arms. The basic rule is that the longer the fork blades are, the larger their cross-sectional area should be. If this is not the case, there is a risk of premature damage caused by metal fatigue and excessive bending of the fork arms. Contact us to find out about fork arms with different designs. Never expose fork arms to strong negative forces from below. This can cause them to break off. Safe, well-maintained fork arms increase productivity levels. Regular inspections and preventive maintenance ensure that the equipment remains in good condition and minimise the risk of disrupting or interrupting production. – a thorough inspection at least every 12 months or after a maximum of 500 hours of operation. In tough conditions, for example multiple-shift operation, the inspections must be carried out at shorter intervals. The annual/500 hour inspection must be carried out with care by specially trained staff. Scana Booforge offers training courses for this type of inspection. The daily checks must be made by the driver or an equivalent member of staff. Always inspect the fork arms in pairs, never individually. In many cases both fork arms are damaged and there is a significant risk that the other fork arm will have the same type of damage. In the event of defects being identified, both fork arms must be taken out of use and sent to the manufacturer for more detailed checks or repairs, even if the damage is found on only one fork arm in the pair. The same principle applies to changing fork arms. Both must be replaced at the same time. Never modify fork arms yourself. Worn fork arms must not be welded (ISO 5057). Welding fork arms or using other forms of heat treatment can cause changes in the structure of the material and, therefore, cause the fork arms to break. Drilling the fork arms can reduce the cross-sectional area and cause cracks or breaks to form. Check the fork arms regularly for wear. When the original thickness of the fork arms has been reduced by 10 percent, they must be replaced (ISO 5057). Wear of 10 percent on a fork arm will result in a reduction of around 20 percent in its lifting capacity. Fork arms which are damaged and can be repaired must be sent to the manufacturer, Scana Booforge. You must not, for example, attempt to repair bent fork arms yourself. The products are manufactured to precise specifications to ensure that they offer the right properties and the appropriate quality. Among other things, repairing fork arms requires extensive knowledge of materials and this is an area in which the manufacturer has the necessary expertise.